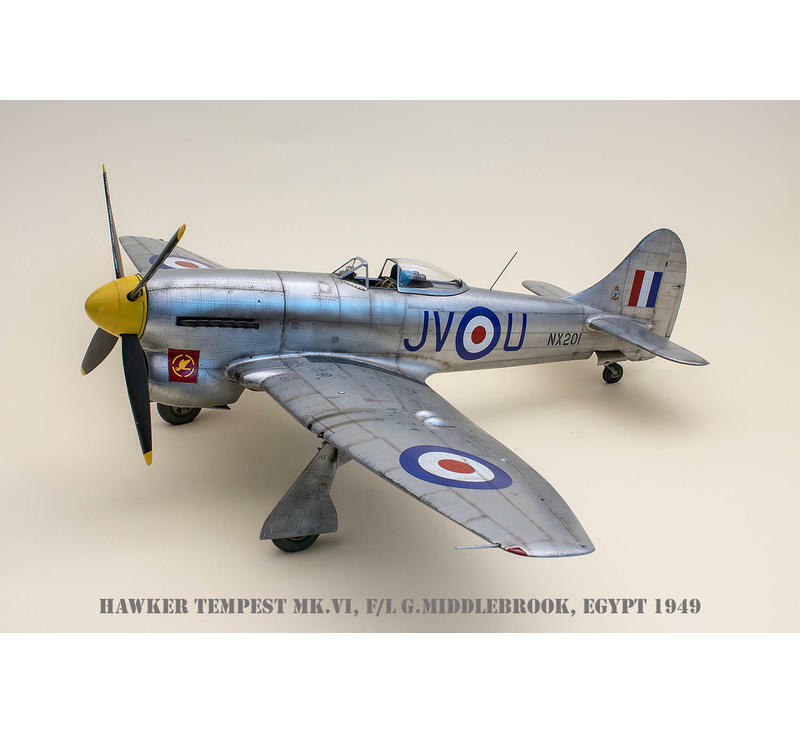 During World War Two the opposing sides were constantly competing against each other to keep abreast of the latest technological developments and as a result this led to ever more powerful and effective warplanes. 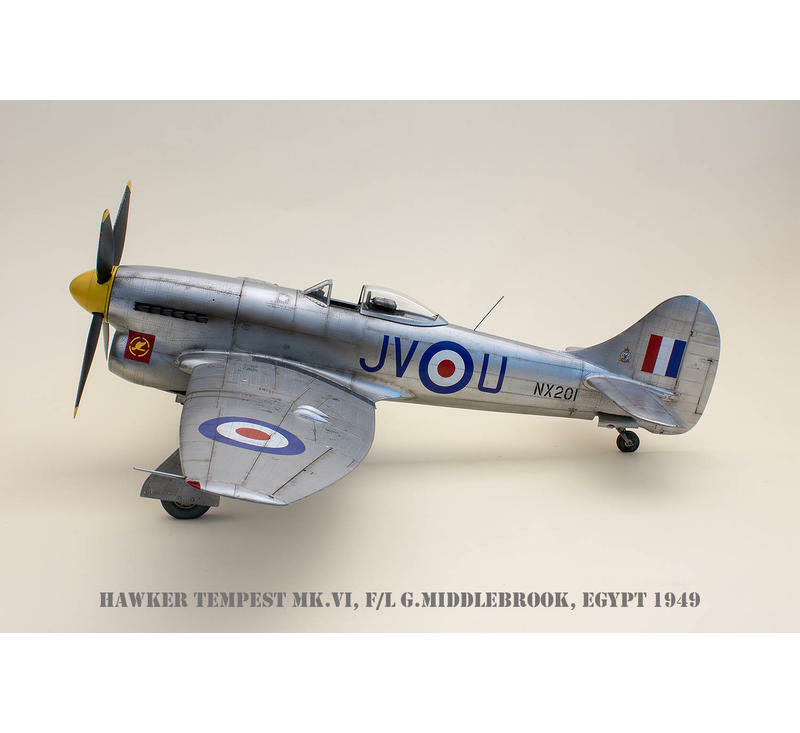 In 1941 the new German Fw 190 fighter aircraft began to enter service and as its main response the British hastily developed the Spitfire Mk.V into the Mk.IX with a better Merlin engine, although they also introduced a new type called the Hawker Typhoon Mk.I into the service too. 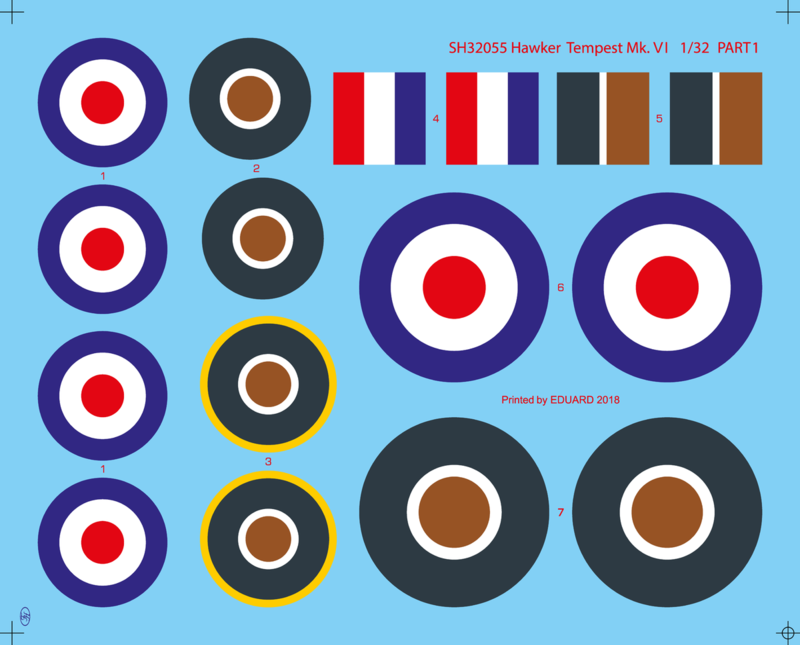 The Typhoon fighters were rushed into service and suffered from a number of teething problems and it soon became clear that the new fighter would not fit the requirements for a standard day fighter aircraft. 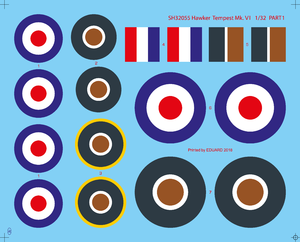 Sir Sydney Camm who was Hawker‘s chief designer began to design a new fighter aircraft which was partially based on the Typhoon. 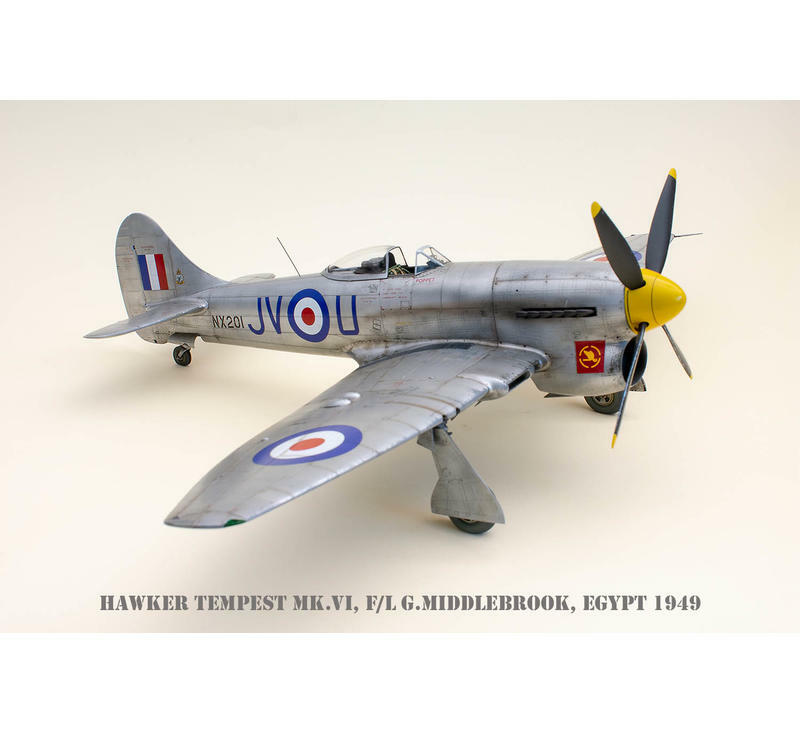 At first this was known as the Typhoon Mk.II but soon was renamed as the Tempest and in the end, it became one of the very best WW2 fighter machines. 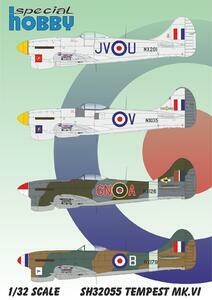 Following the Mk.V and Mk.II versions, the Mk.VI was put into production. 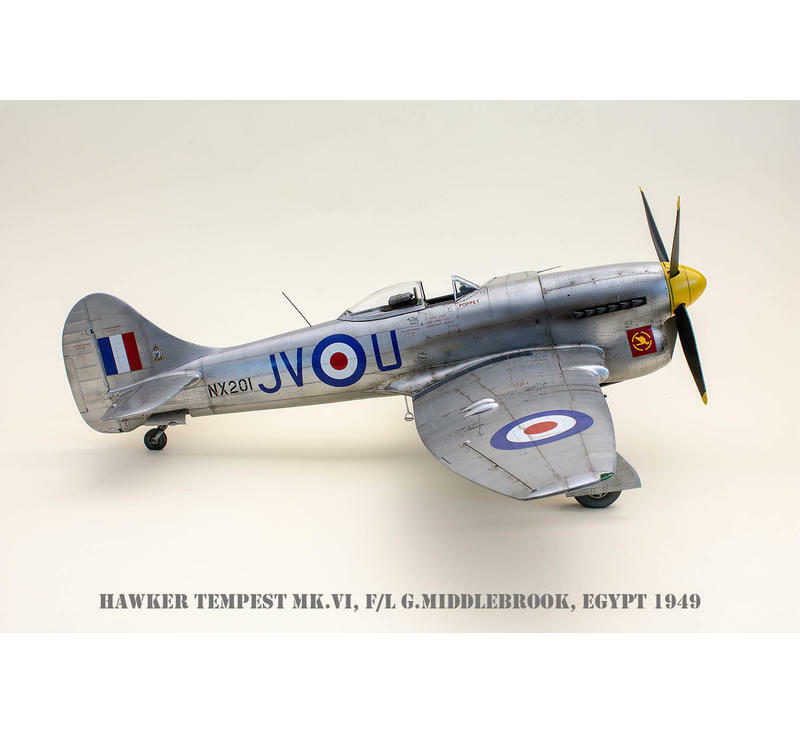 Though it happened yet during the war, the type saw front line service in the post war conflict areas, mainly in the Middle East as this version was equipped for harsh desert conditions. 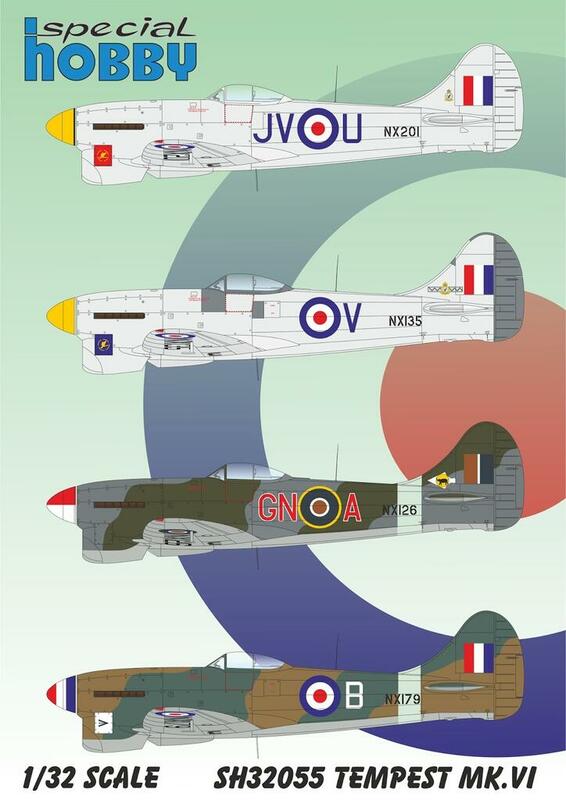 The Mk.VI was fitted with a more powerful version of the Sabre Mk.V engine and comparing with its predecessor, the Mk.V verison, it had also larger wing root radiator, oil cooler and engine intakes. 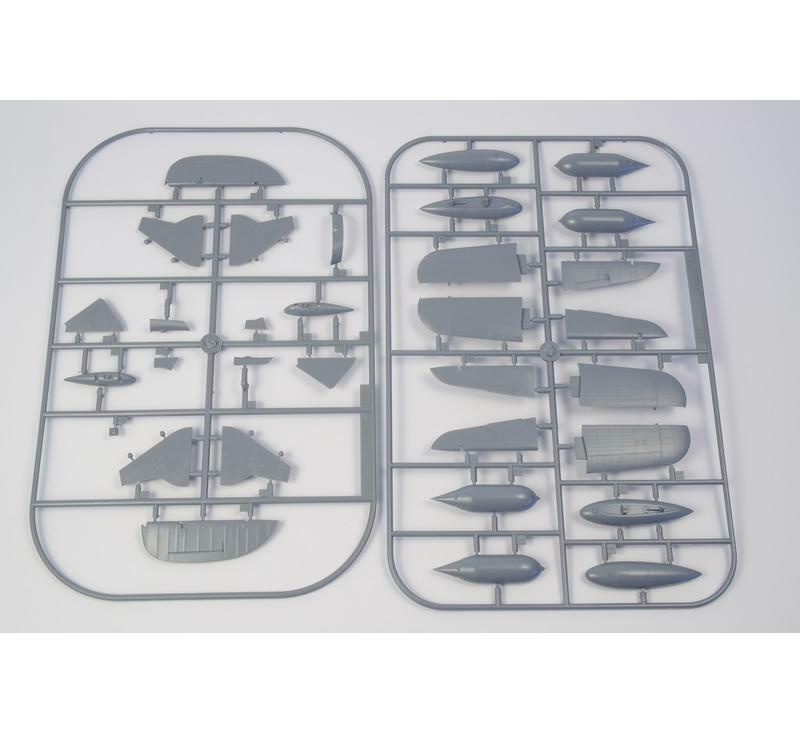 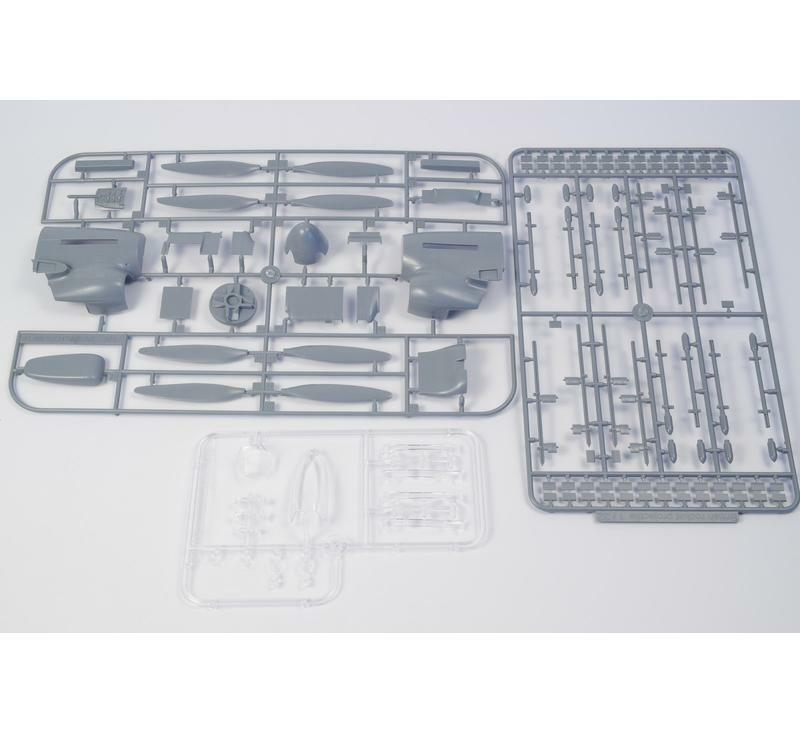 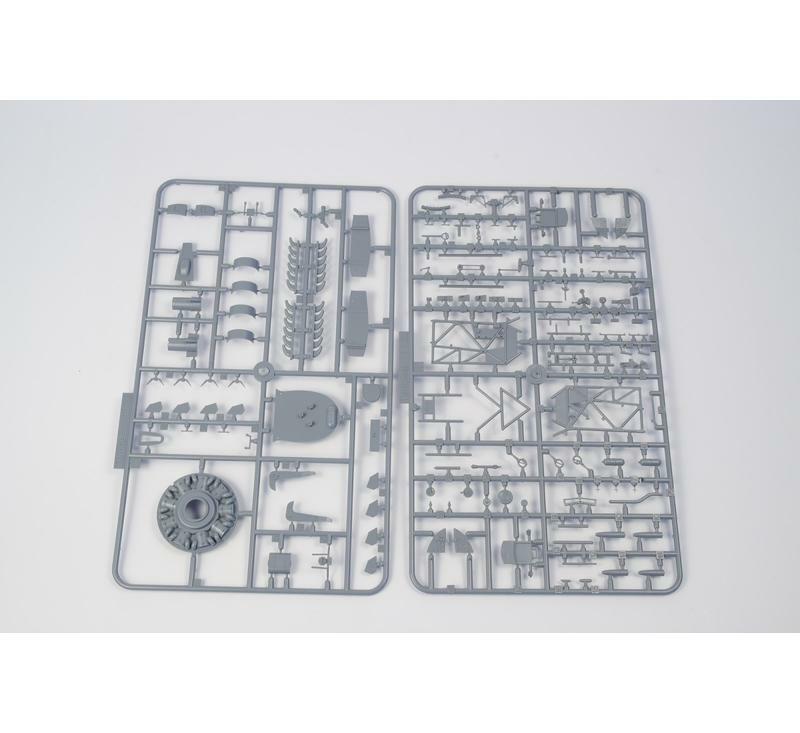 The kit’s plastic parts come on eight runners of grey styrene and one with clear parts. 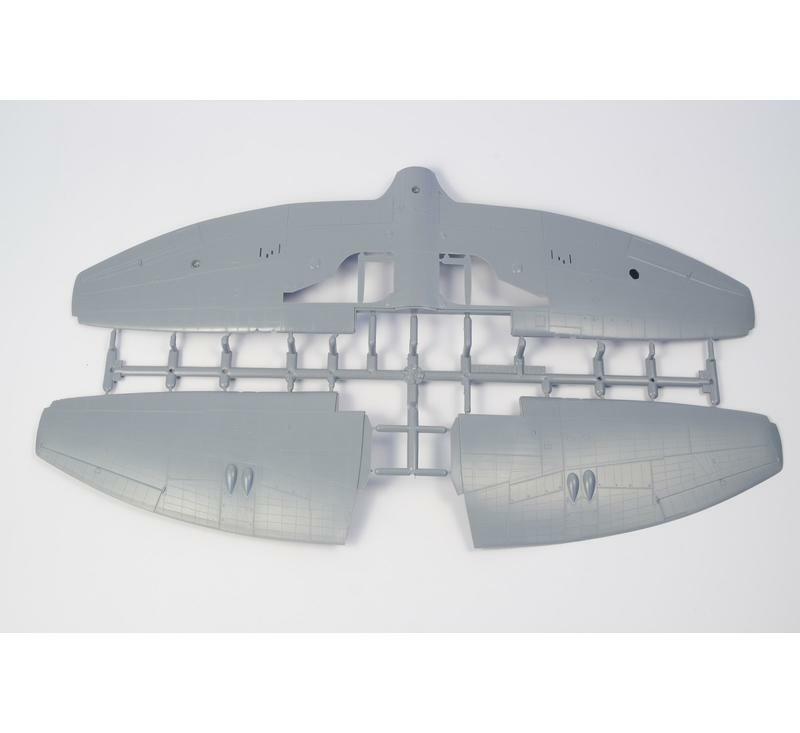 All the major parts‘ surface is adorned with very fine rivet lines. 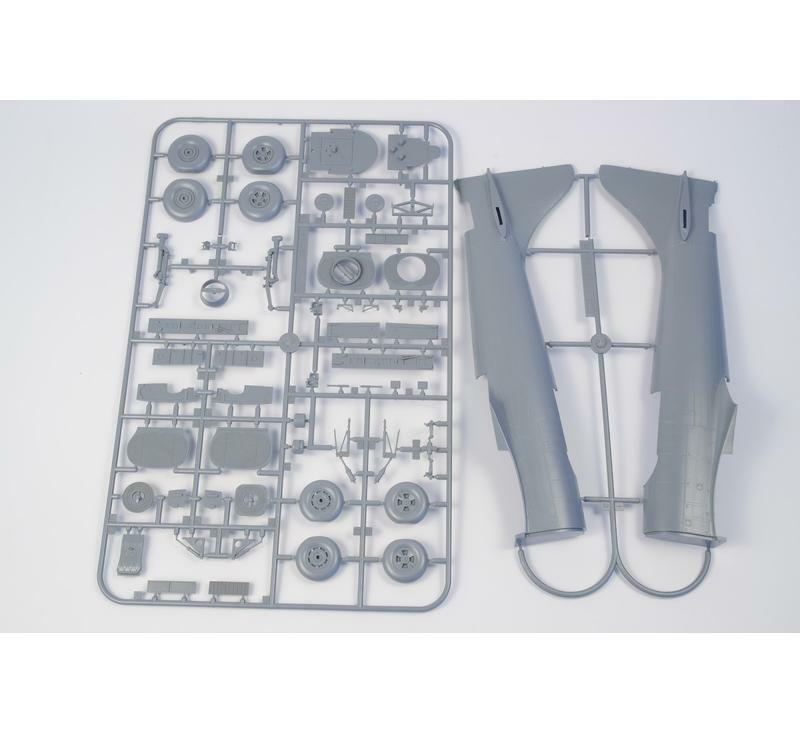 Throughout the build, the modeller is quided via an A4 size full-colour instruction booklet. 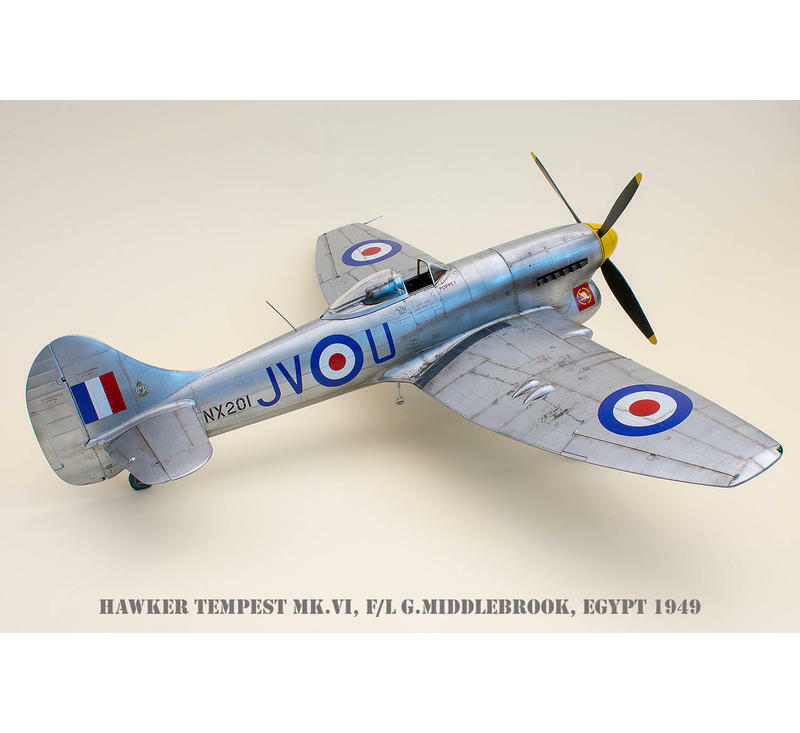 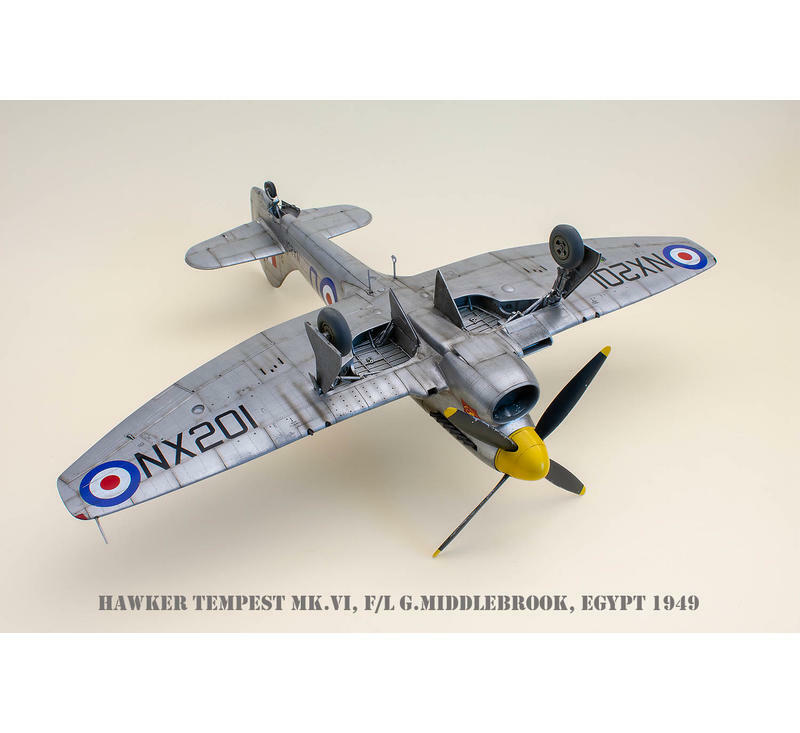 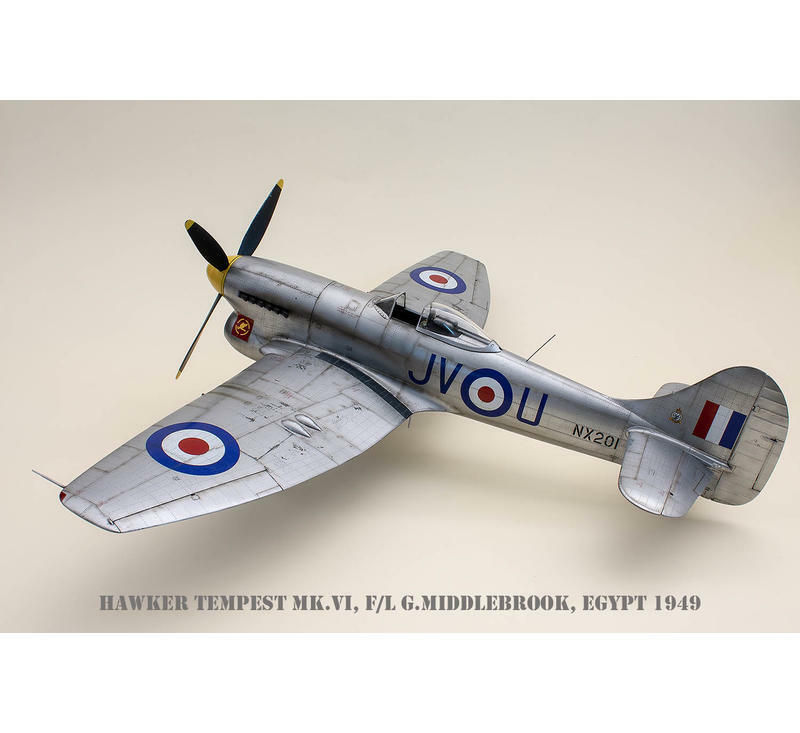 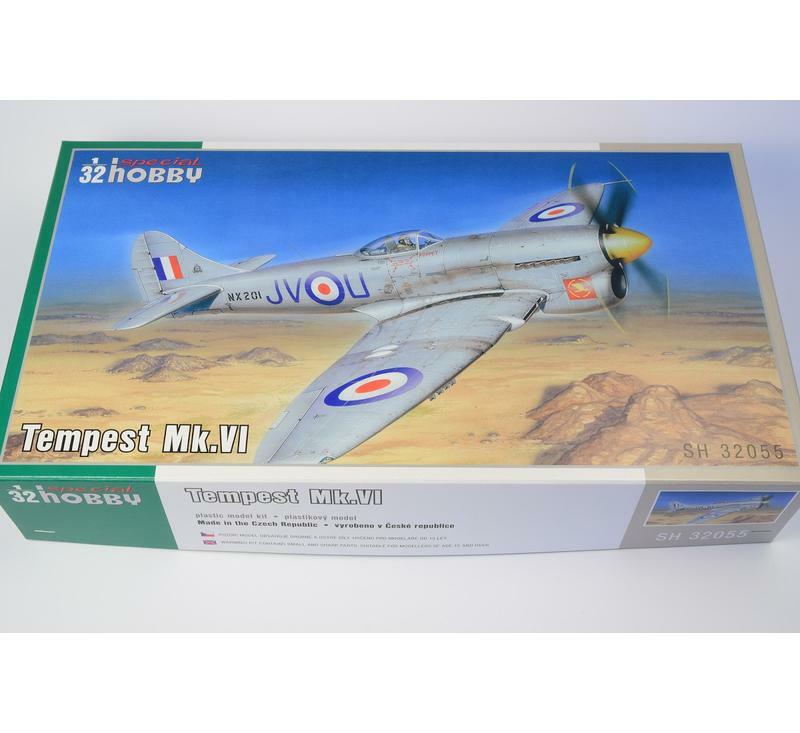 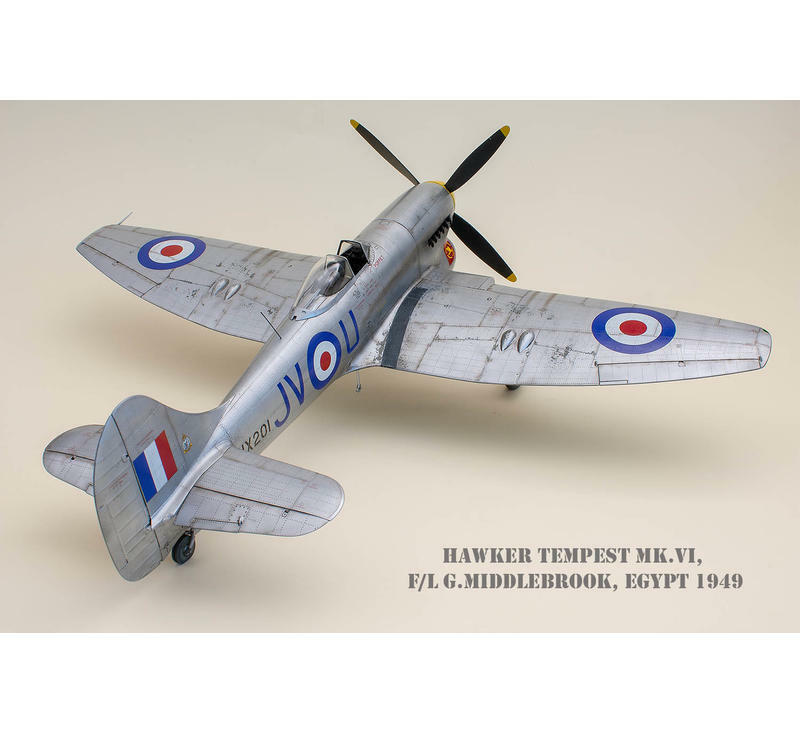 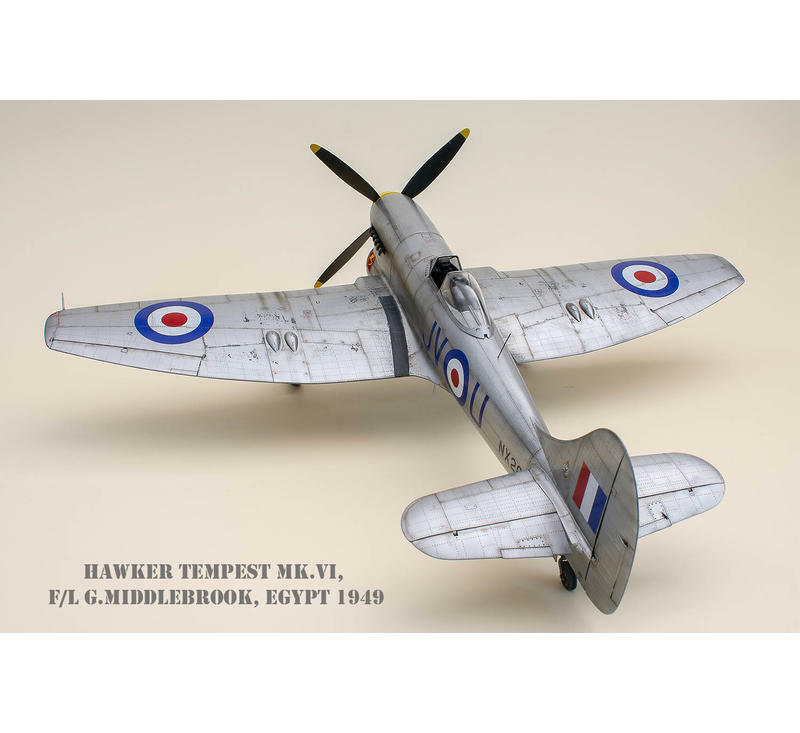 The colour schemes and decal sheets cater for four various Tempest Mk.VI machines, the first of which, ie Camo A option features an overall silver doped machine bearing the name Poppet, Camo B option brings a RAF day fighter scheme coloured machine with red and white fuselage code letters. 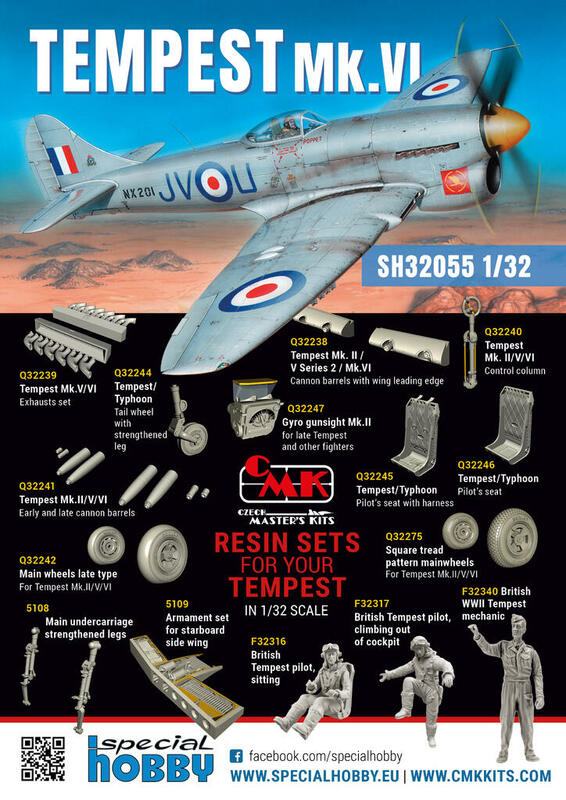 One of the very few bare metal Tempests is portrayed in Camo C option and wears V　fuselage code. 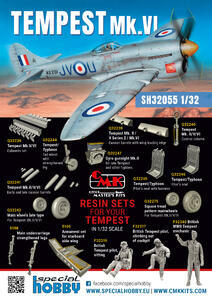 The final option is a machine with RAF desert scheme. 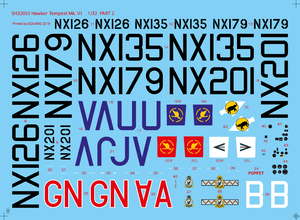 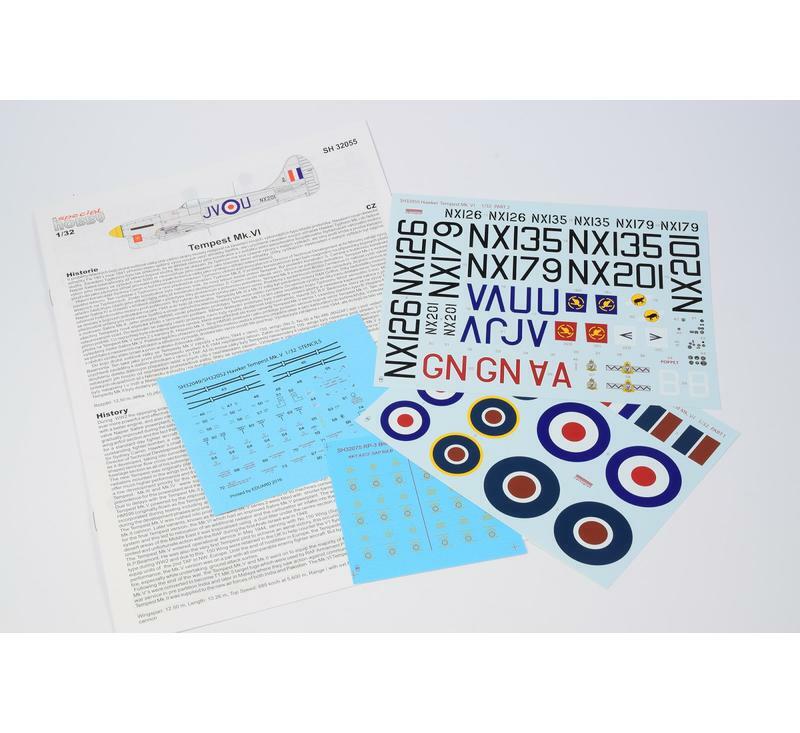 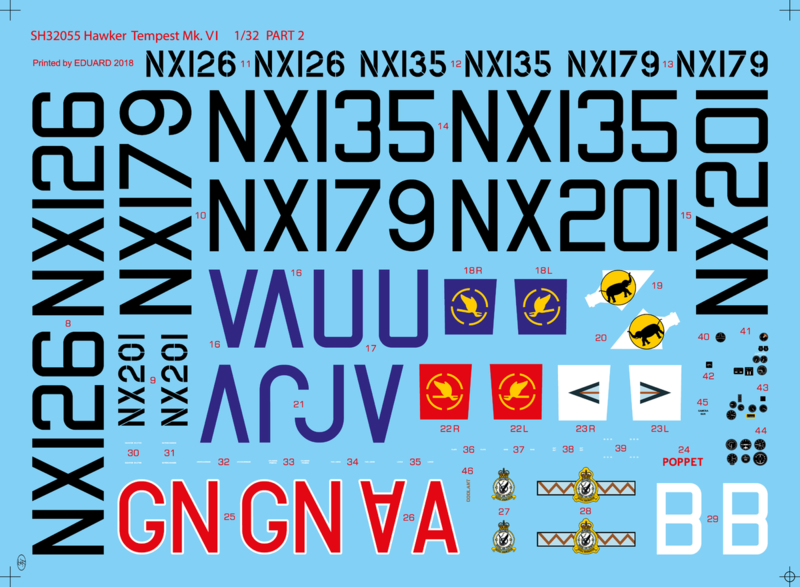 The decal sheets bring also a full set of airframe stencils including those for the interior and fuel tanks.